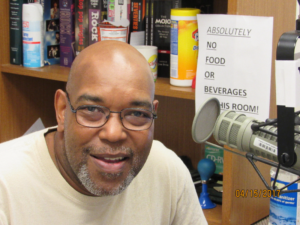 Chris Poole – Friday 10pm – 1 am | Oldies FM 97.3 Radio, YOUR Community Radio Station! Born and raised in the land of funk (Dayton, Ohio) I was lucky enough to hear some of the best music that have influenced me though my life. 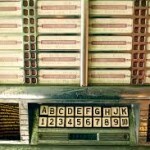 From local radio to the great bands and solo acts, I got the itch for radio early in my life. One of the first paying jobs came at the age of 10, while in grade school, I was a skating dj at my neighborhood recreation center. After graduation in 1979, I enlisted in the military (U.S. Army) to expand my knowledge and music taste too. And at each stop I met a lot of local dj’s who would take me under their wing and broaden my talents. After the military, I settled back in Dayton and in 1984 got married to my best friend of 34 years. Then in 1985 I went on the radio for the first time at WYSO. As my family responsibility grew I decided to get out but the itch was still there, in 1988 after meeting a friend of a friend (sounds like a song title) I spent a year at WWSU as a consultant and eventually going back on the air. After my job transfer, I returned back home and returned to WYSO in 1993. Then I went silent until 2014 and sent an email to our former volunteer coordinator Jimmy Keyes. After Jimmy saw I was harmless and training with John King and spending many Saturday afternoons with Gary Quinn and part of night with The Record Saver,Tony Peters finally cut the apron strings. But there’s something else wrong, I was a dj with a football problem. The sports department swooped me up to do sideline and eventually color commentary for the Warriors and I got to see “The Shoe” twice in 2014-15 ,and during this time, with the playoffs game in football on a Saturday night I needed to move my show, and Funky Friday’s was born!! !